Yesterday the Supreme Court of Appeals of West Virginia released its decision in Fairmont General Hospital, Inc. v. United Hospital Center, Inc. and West Virginia United Health Systems, Inc and West Virginia Health Care Authority. The case involved a consolidated appeal by United Hospital Center (UHC), West Virginia United Health System (WVUHS) and the West Virginia Health Care Authority (Authority) from a November 24, 2004 order issued by the Circuit Court of Marion County by Judge Fox reversing a previous administrative decision by the Office of Judges affirming the granting of a certificate of need to UHC and WVUHS to construct a replacement hospital facility in Bridgeport, West Virginia which would replace the existing UHC facility located in Clarksburg, West Virginia. The Court's decision reversed Judge Fox's order and remanded the matter for issuance of a certificate of need consistent with the Authority's decision which granted UHC and WVUHS the right to construct the new facility. The decision invalidated the mile limitation outlined in the Renovation and Replacement of Acute Care Facilities and Services Standards under the State Health Plan. The focus of the appeal involved the relocation of the new facility approximately 8 miles away from the present location when at the time of filing of the certificate of need application the Renovation and Replacement of Acute Care Facilities and Services Standards under the State Health Plan contained a limitation that replacement facilities be no more than 5 miles from the hospital facility being replaced. Ultimately, the question was whether or not the site (located 8 miles away) approved by the Authority for the construction of UHC's replacement hospital was consistent with the State Health Plan under WV Code 16-2D-9. Interestingly, the Court focused much of its decision on the status of the Certificate of Need Standards under the State Health Plan, which the Court recognized are "not legislative rules," and the interplay between the Standards and the Certificate of Need Standards under WV CSR 65-7-1 et seq., which are legislative rules. The Court also addressed the conflicts that exist between the Certificate of Need Standards under the State Health Plan and the criteria under W.Va. Code 16-2D-6 which the Authority is required to use when analyzing whether to grant a particular certificate of need. The Court took up a unique threshold question in the decision, stating "whether the five-mile limitation as imposed by the Authority and the Governor conflicts with provisions of W.Va. Code 16-2D-1 et seq., or is not authorized by legislative guidelines provided for the exercise of powers conferred upon the executive department." The Court asked the question, "is the limitation [five miles] a legally valid restriction?" As a result of the position taken by the Court on this point it appears that they have called into question not only the five mile limitation under the Renovation and Replacement Standards but possibly any other limitations imposed under any of the other Certificate of Need Standards outlined under the State Health Plan. (6) is arbitrary and capricious." For more information about this case you might want to check out my previous post which includes links to the briefs filed by the various parties. Also, I haven't had time yet to compare this decision to another recent certificate of need decision issued by the Court in the Family Medical Imaging, Inc. v. West Virginia Health Care Authority where the Court recognized that the Certificate of Needs Standards under the State Health Plan as "interpretive rules," but did not invalidate the standards in that particular case. The Charleston Daily Mail reports on the decision here. Update: "UHC Can Build New Hospital," News articled from WBOY 12 by Juliet Terry. If you are Medicare eligible you should make sure to investigate and select your Medicare Prescription Coverage by the end of December. The deadline for selecting coverage is December 31, 2005. For more information check out the Medicare website resource information. West Virginia state information can be found on the Landscape for Local Plans section of the Medicare website. For additional reactions to the change in the Medicare program to a more decentralized drug program allowing competition Garlo Ward recommends Medical News Today's coverage. A quick health care bloggers welcome to Garlo Ward , an Austin, Texas health care law firm who recently redesigned its website to incorporate a blog based front page. Thanks to Robert Ambrogi's Lawsites for reporting this news. I ran across post Katrina information issued by the Garlo Ward firm when I was posting regulatory information about the impact of Hurricane Katrinia. I also want to thank them for adding my Health Care Law Blog to their blogroll. 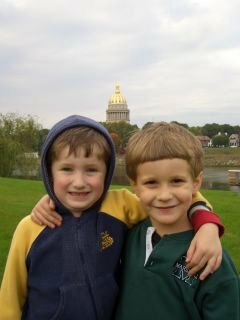 On November 17, 2005 the Supreme Court of Appelas of West Virginia released its decision in Family Medical Imaging and Poling vs. West Virginia Health Care Authority. This matter involved the Authority's denial of a certificate of need by physicians to provide ultrasound diagnostic services to patients referred to them by other physicians in Raleigh, Wyoming, McDowell, Fayette, Summers and Nicholas Counties, West Virginia. If you want to better understand what projects and issues the federal government plans to address in 2006 check out the Fiscal Year 2006 Work Plan issued yesterday by the OIG. The OIG Work Plan sets forth the projects to be addressed by the Office of Audit Services, Office of Evaluation and Inspections, Office of Investigations, and Office of Counsel to the Inspector General. The Work Plan includes projects planned by Centers for Medicare & Medicaid Services (CMS), public health agencies and the Administrations for Children and Families, and on Aging. The Department of Health and Human Services (HHS) announced four contracts totaling $18.6 million to four groups of health-care IT vendors, services firms, and health-care providers to use to develop prototypes for a national health information highway. West Virginia will be participating as a part of a three state consortia headed by Accenture. Accenture will be working with Apelon, Cisco, CGI-AMS, Creative Computing Solutions, eTech Security Pro, Intellithought, Lucent Glow, Oakland Consulting Group, Oracle, and Quovadx. The consortia will cover the following health market areas: Eastern Kentucky Regional Health Community (Kentucky); CareSpark (Tennessee); and West Virginia eHealth Initiative (West Virginia). More evidence that there in interest and initiative from the federal government down to the state and local level for a push to convert the traditionally paper based health record system to one that is electronically based. I live across the Kanawha River from the West Virginia Capitol. This is one of my favorite photos taken on the same day. 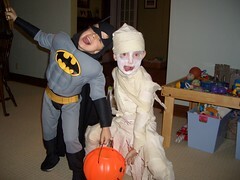 It is a photo of my son with a neighborhood friend. You don't always appreciate the beauty of your surroundings, especially when they are in your backyard. I can see the Capitol from my backyard and at night it is a spectacular view. It is also beautiful in the fall to look across the river and see all the changing fall colors and the gold Capitol dome reflecting in the river. The Capitol is just one example of the beauty of West Virginia. So often West Virginia is viewed negatively in the national media. For more photos on West Virginia be sure to check out Rick Lee's website and blog. I noticed that Rick just surpassed 50,000 visits to his photo blog. Through his blog he is a great ambassador of the beauty of West Virginia. CHARLESTON, W.Va. - Gov. 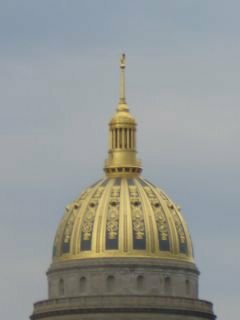 Joe Manchin today encouraged state residents to actively participate in the selection of the West Virginia State Capitol dome finished exterior design by voting between two restoration options. 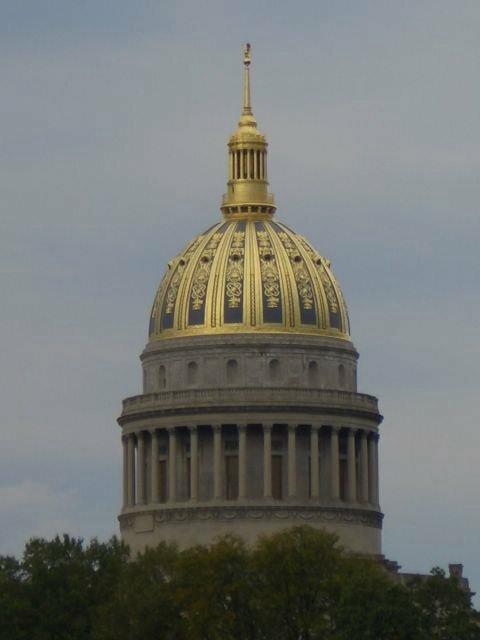 OPTION A – Original Dome Design: The West Virginia State Capitol was designed by the pre-eminent American architect Cass Gilbert and was dedicated on June 20, 1932. Mr. Gilbert based the Capitol dome’s design on the dome of the Hotel National des Invalides in Paris, France. Les Invalides was constructed in 1708 by Louis XIV and currently houses Napoleon’s tomb. Following the lead of Les Invalides, the original State Capitol dome was finished with gold leaf and a gray (lead-colored) field. The intent of this color scheme was to create a transition between the building’s limestone neutral color and the gold-leafed lantern, drawing the eye upward from the dome base to the lantern. 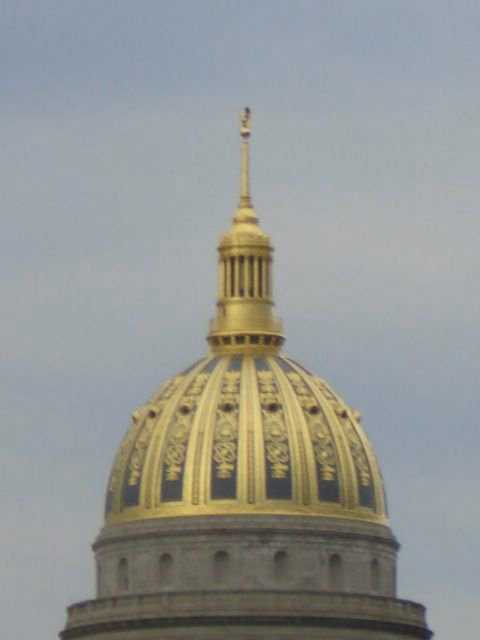 OPTION B – All Gold Dome Design: In 1988, the original two-tone color scheme was replaced and covered entirely with gold leaf. Following up on a recent post about Oklahoma joining the list of state courts now offering appellate court decisions via RSS feeds, Rory Perry provides some additional detailed information about each of the states and the various RSS feeds available. 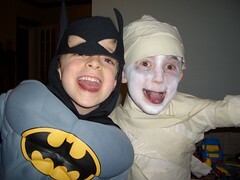 Just wanted to welcome Nick Jacobs, President and CEO of Windber Medical Center, to the health care blogging community. He is now blogging at "Nick's Blog." Guess it was only a matter of time before a hospital CEO joined the blog ranks. I look forward to watching Mr. Jacob's posts. 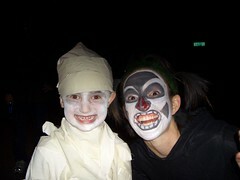 Mr. Jacob's story of how and why he started blogging is featured over at the Diva Marketing Blog. Other hospital CEOs should take note. I plan to email this link out to some of my hospital client CEOs and see if a West Virginia CEO can become the second hospital CEO blogger. For more information check out this post at Hospital Impact. I've been an avid genealogist for a number of years and although I don't do as much as I use I still periodically get into researching my family lines (Coffield, Yoho, Harris, etc.) and sharing information with family. Today's Charleston newspapers featured an article on a new online genealogy research tool developed by the West Virginia Division of Culture and History. It allows you to search birth, death and marriage records all over West Virginia. Vital Research Records online database. The new online database features more than a million West Virginia birth, death and marriage records—a valuable resource for genealogists and historians. According to agency officials, family history researchers can now search and view scanned images of the original birth, death and marriage records from six counties, as well as most statewide death certificates from 1917-54, on the Division’s website at www.wvculture.org/vrr. Developed in collaboration with FamilySearch Archive, which microfilmed, scanned and indexed the records, the initial phase of the project includes county records for Calhoun, Gilmer, Hardy, Harrison, Mineral and Pendleton counties. The database includes county birth records for the period 1853-1930, county death records for 1853 until the late 1960s, and county marriage records from the creation of the county until the late 1960s, all of which are searchable by name, county and date. Records from additional counties will be added over the next few years. Statewide death certificates will be added annually as the records become 50 years old. Sure beats the old days of going county to county to look up old records. Grand Rounds 2.07 is being hosted this week at MSSP Nexus Blog by Rita Schwab. All you medical/health star trek aficianados will love the format for this week's Grand Rounds. Today's NYTimes features Opinionista and her very popular blog called Opinionistas on the inner workings of a large NY law firm. If your interested in big law firm culture give it a read. Many are watching this to see what actions will be taken by the law firm against the anonymous associate blogger of the firm -- if it is disclosed who she is and where she works. More interesting to me is the publicity that will likely surround any actions or inactions taken by the law firm. They better have their PR people ready for this one. Once again this highlights an increasingly more common legal issue of what rights employees have to blog at home and at work about employer related issues. If you haven't already done so it is time to take a look at your employee handbook and establish some reasonable policies. Stay tuned! I received notice of a new (at least to me) health care blog called Healthcare Intelligence Network. I've added it to my blogroll and look forward to the posts by Melanie Matthews, the executive vice president and chief operating officer of the Healthcare Intelligence Network. For more about the Healthcare Intelligence Network, who they are and what they offer check this out. 2) type in the word "failure"
3) press the "I'm feeling lucky"
For an interesting comparison of the time you and I spend shopping for health care services vs. shopping for cars and computers check out this recent post at Hospital Impact. Will there be an increase in consumer driven healthcare? What factors will be involved? Jim Calloway at his Law Practice Tips Blog reports that Oklahoma is the third state court to introduce RSS feed technology as a way to release appellate decisions. According to Jim, Oklahoma follows West Virginia and Louisiana. It is great to see another state appellate court adding RSS feeds. I have been subscribing to West Virginia's RSS feeds implemented by Rory Perry for about a year and have found it to be an incredibly valuable service. As soon as a new case comes out I can scan the decision, determine whether or not the case relates to current/past client issues, notify clients or other attorneys about the decision, etc. One of the benefits of being an early adopter of RSS feed technology has been the ability to see relevant information first and notify my clients, my partners or other attorneys. I ran a couple of Google searches and located that both Utah and North Dakota are using RSS feed technology to report and issue state court decisions. This brings the total to five states. It's also great to see West Virginia and Louisiana at the top of a list rather than at the bottom. So often we find our states at the bottom of the list -- especially on health care related issues. For more information on how West Virginia is leading the way on court technology issues you should check out Rory Perry's weblog on law, technology and the courts. Today Governor Manchin issued the first in a series of "Open for Business" reports which are intended to document West Virginia's economic progress. An item of interest to the legal and IT community appearing in the report is information on the development Orrick, Herrington & Sutcliffe's efforts to outsource its document, litigation and technology solutions to other law firms. The report announced a recent partnership between Orrick and Williams Lea. Orrick, Herrington & Sutcliffe announced a partnership with British firm Williams Lea, which specializes in providing document, litigation and technology solutions to law firms, but also does such work as design and graphics for banks. Orrick's Global Operations Center in Wheeling will continue to provide technology, finance, human resources, Web engineering, benefits, payroll and marketing services while Williams Lea will coordinate all of Orrick's word processing needs, transcription production services and document services work. The company will hire 30 employees to start. Orrick also will continue to develop a U.S.-based outsourcing business for other law firms. Here is the Orrick press release announcing the partnership. Today's Charleston Gazette ran an interesting article on a lawsuit filed by a former employee of Allegheny Energy, Inc. against Allegheny Energy and its lawyers for wrongful use of the court system to subpoena records from Yahoo to uncover his identity. It appears that Allegheny Energy filed a lawsuit against a "John Doe" for the purpose of issuing a subpeona to Yahoo to uncover the former employees identity. The article indicates that the lawsuit involves claims for wrongful termination and violation of privacy. Brian Peterson over at his West Virginia Legal Weblog has a link to the AP article on the lawsuit. An interesting lawsuit to watch. If I get time I will try to track down a copy of the complaint. Grand Roudns 2.6 is being hosted this week by KidneyNotes.com.